Ladybugs all over the place! 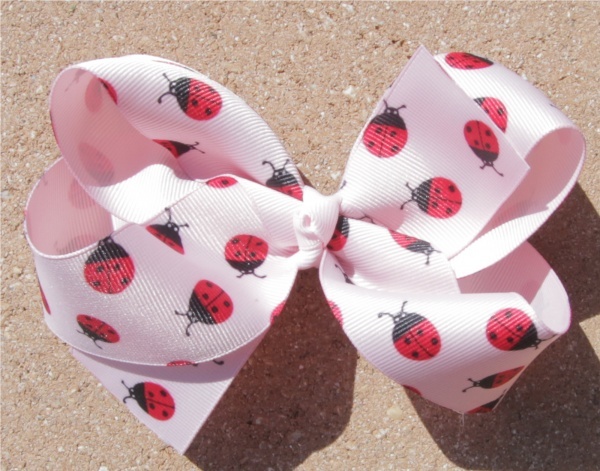 This is 30 inches of a 1.5" pink grosgrain ribbon that has red and black ladybugs. The French knot in the center is wrapped with a pink 3/8" grosgrain ribbon. This size is great for front side of the head or get two of these for matching piggy tails. Dress up your little ladybug today.